Antitrust laws, or competition laws, are laws which prohibit anti-competitive behavior and unfair business practices. The laws make illegal certain practices deemed to hurt businesses or consumers or both, or generally to violate standards of ethical behavior. Government agencies known as competition regulators regulate antitrust laws, and may also be responsible for regulating related laws dealing with consumer protection. Antitrust laws become a legislative inducement towards fairness and are used as a key for principled business relationships. The history of competition law reaches back further than the Roman Empire. The business practices of market traders, guilds, and governments have always been subject to scrutiny, and sometimes severe sanctions. The term "antitrust" derives from the U.S. law which was originally formulated to combat "business trusts," now more commonly known as cartels. Other countries use the term "competition law." Since the twentieth century, competition law has become global. The two largest and most influential systems of competition regulation are United States antitrust law and European Community competition law. Antitrust laws prohibit agreements in restraint of trade, monopolization and attempted monopolization, anticompetitive mergers and tie-in schemes, and, in some circumstances, price discrimination in the sale of commodities. Anticompetitive agreements among competitors, such as price fixing and customer and market allocation agreements, are typical types of restraints of trade proscribed by the antitrust laws. These type of conspiracies are considered pernicious to competition and are generally proscribed outright by the antitrust laws. Resale price maintenance by manufacturers is another form of agreement in restraint of trade. Other agreements that may have an impact on competition are generally evaluated using a balancing test, under which legality depends on the overall effect of the agreement. Monopolization and attempted monopolization are offenses that may be committed by an individual firm, even without an agreement with any other enterprise. Unreasonable exclusionary practices that serve to entrench or create monopoly power can therefore be unlawful. Allegations of predatory pricing by large companies can be the basis for a monopolization claim, but it is difficult to establish the required elements of proof. Large companies with huge cash reserves and large lines of credit can stifle competition by engaging in predatory pricing; that is, by selling their products and services at a loss for a time, in order to force their smaller competitors out of business. With no competition, they are then free to consolidate control of the industry and charge whatever prices they wish. At this point, there is also little motivation for investing in further technological research, since there are no competitors left to gain an advantage over. It may prohibit agreements or practices that restrict free trading and competition between business entities. This includes in particular the repression of cartels. It may ban abusive behavior by a firm dominating a market, or anti-competitive practices that tend to lead to such a dominant position. It may supervise the mergers and acquisitions of large corporations, including some joint ventures. Transactions that are considered to threaten the competitive process can be prohibited altogether, or approved subject to "remedies" such as an obligation to divest part of the merged business or to offer licenses or access to facilities to enable other businesses to continue competing. A business with a monopoly over certain products or services may be in violation of antitrust laws if it has abused its dominant position or market power. Although not all anti-competitive behavior which is subject to antitrust laws involve illegal cartels or trusts, the following types of activity are generally prohibited. Geographic allocation - An agreement between competitors to not compete within each other's geographic territories. Walker Process fraud - Illegal monopolization through the maintenance and enforcement of a patent obtained via fraud on the Patent Office (the term comes from the Supreme Court case Walker Process Equipment, Inc. v. Food Machinery & Chemical Corp., 382 U.S. 172 (1965)). Consumer protection laws seek to regulate certain aspects of the commercial relationship between consumers and business, such as by requiring minimum standards of product quality, requiring the disclosure of certain details about a product or service (e.g., with regard to cost, or implied warranties), or prescribing financial compensation for product liability. Consumer protection laws are distinct from antitrust. Some consumer protection laws are enforced by the U.S. Federal Trade Commission, which also has antitrust responsibilities. However, many competition agencies—including the Justice Department antitrust division and the European Commission Directorate General for competition—lack authority over consumer protection. Laws governing competition law are found in over two millennia of history. Roman Emperors and Mediaeval monarchs alike used the use of tariffs to stabilize prices or support local production. Different terms were used to describe this area of the law, including "restrictive practices," "the law of monopolies," "combination acts" and the "restraint of trade." 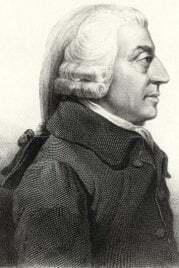 The formal study of "competition," began in earnest during the eighteenth century with such works as Adam Smith's The Wealth of Nations. The classical perspective on competition was that certain agreements and business practices could be an unreasonable restraint on the individual liberty of tradespeople to carry on their livelihoods. 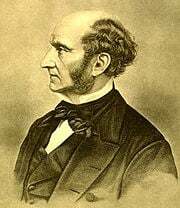 Thus the restraint of trade doctrine was justified to protect liberty as individuals such as John Stuart Mill reasoned. Restraints were judged as good or bad by courts on an ad hoc basis as new cases appeared and in the light of changing business circumstances. Hence the courts found specific categories of agreement, specific clauses, to fall foul of their doctrine on economic fairness, and they did not contrive an overarching conception of market power. Earlier theorists like Adam Smith rejected any monopoly power on this basis. Despite theoretical disagreement on a wide range of issues, most economists and lawyers do agree that at minimum explicit agreements to fix prices between competing companies should be illegal. Cartels, or control of collusion and other anti-competitive practices which has an effect on the EU (or, since 1994, the European Economic Area). This is covered under Articles 81 of the Treaty of the European Community (TEC). Mergers, control of proposed mergers, acquisitions, and joint ventures involving companies which have a certain, defined amount of turnover in the EU/EEA. This is governed by the Council Regulation 139/2004 EC (the Merger Regulation). State aid, control of direct and indirect aid given by EU Member States to companies. Covered under Article 87 EC (ex Article 92). This last point is a unique characteristic of the EU competition law regime. As the EU is made up of independent member states, both competition policy and the creation of the European single market could be rendered ineffective were member states free to support national companies as they saw fit. Primary competence for applying EU competition law rests with European Commission and its Directorate General for Competition, although state aids in some sectors, such as transport, are handled by other Directorates General. On May 1, 2004 a decentralized regime for antitrust came into force which is intended to increase the application of EU competition law by national competition authorities and national courts. The antitrust laws comprise what the Supreme Court of the United States calls a "charter of freedom," designed to protect the core republican values regarding free enterprise in America. The main goal was never to protect consumers, but to prohibit the use of power to control the marketplace. Although "trust" had a technical legal meaning, the word was commonly used to denote big business, especially a large, growing manufacturing conglomerate of the sort that suddenly emerged in great numbers in the 1880s and 1890s. Indeed, at this time hundreds of small short-line railroads were being bought up and consolidated into giant systems. (Separate laws and policies emerged regarding railroads and financial concerns such as banks and insurance companies.) Republicanism required free competition and the opportunity for Americans to build their own businesses without being forced to sell out to an economic colossus. As Senator John Sherman put it, "If we will not endure a king as a political power we should not endure a king over the production, transportation, and sale of any of the necessaries of life." The Sherman Antitrust Act passed Congress almost unanimously in 1890 and remains the core of antitrust policy. The Act makes it illegal to try to restrain trade, or to form a monopoly. It gives the Justice Department the mandate to go to federal court for orders to stop illegal behavior or to impose remedies. Business consolidation roared along in the 1890s and 1900s. As a result the Progressive Era put anti-trust high on the agenda. President Theodore Roosevelt sued 45 companies under the Sherman Act, while William Howard Taft sued 75. In 1902, Roosevelt stopped the formation of the Northern Securities Company which threatened to monopolize transportation in the northwest. The most notorious of the trusts was the Standard Oil Company; John D. Rockefeller in the 1870s and 1880s had used economic threats against competitors and secret rebate deals with railroads to build what was called a monopoly in the oil business, although in fact he always had nominal competition. In 1911, the Supreme Court agreed that in recent years (1900-1904) Standard had violated the Sherman Act. It broke the monopoly into three dozen separate companies that competed with one another, including Standard Oil of New Jersey (later known as Exxon and now ExxonMobil), Standard Oil of Indiana (Amoco), Standard Oil Company of New York (Mobil, again, later merged with Exxon to form ExxonMobil), of California (Chevron), and so on. In approving the breakup the Supreme Court added the "rule of reason": not all big companies, and not all monopolies, are evil, and the courts are to make that decision (not the executive branch). To be harmful a trust had to somehow damage the economic environment of its competitors. Roosevelt for his part distinguished between "good trusts" and bad ones allegedly on the basis of their contribution to the economy. Such arbitrariness gives business leaders reason to believe that they will be prosecuted if they do not cultivate political support for their business. United States Steel Corporation, which was much larger than Standard Oil, won its antitrust suit in 1920 despite never having delivered the benefits to consumers that Standard Oil did. In fact it lobbied for tariff protection that reduced competition and so contending that it was one of the "good trusts" that benefited the economy is somewhat doubtful. Likewise International Harvester survived its court test, while other trusts were broken up in tobacco, meatpacking, and bathtub fixtures. Over the years hundreds of executives of competing companies who met together illegally to fix prices went to federal prison. One problem under the Sherman Act was that businessmen did not know what was and what was not allowed. Therefore in 1914 Congress passed the Clayton Act which prohibited specific business actions (such as price discrimination, tie-in sales, exclusive dealership agreements, mergers, acquisitions, and interlocking corporate directorships) if they substantially lessened competition. At the same time Congress established the Federal Trade Commission (FTC), whose legal and business experts could force business to agree to "consent decrees" which provided an alternative mechanism to police anti-trust. However the law is still very unclear. For instance there is no clear definition of what constitutes a "market." In the words of Isabel Paterson "As freak legislation, the antitrust laws stand alone. Nobody knows what it is they forbid." America adjusted to bigness after 1910. Henry Ford dominated auto manufacturing, but he built millions of cheap cars that put America on wheels, and at the same time lowered prices, raised wages, and promoted efficiency. Ford became as much of a popular hero as Rockefeller had been a villain. Welfare capitalism made large companies an attractive place to work; new career paths opened up in middle management; local suppliers discovered that big corporations were big purchasers. Talk of trust busting faded away. In the 1920s and 1930s the threat to the free enterprise system seemed to come from unrestricted cutthroat competition, which drove down prices and profits and made for inefficiency. Under the leadership of Herbert Hoover, the government in the 1920s promoted business cooperation, fostered the creation of self-policing trade associations, and made the FTC an ally of respectable business. This reduced competition and may have helped lead to the Great Depression. During the New Deal, likewise, attempts were made to stop cutthroat competition, attempts which appeared very similar to cartelization which would be illegal under antitrust laws if attempted by someone other than government. The National Recovery Act (NRA) was a short-lived program in 1933-35 designed to strengthen trade associations, and raise prices, profits, and wages at the same time. The Robinson-Patman Act of 1936 sought to protect local retailers against the onslaught of the more efficient chain stores, by making it illegal to discount prices. To control big business the New Deal policy makers preferred federal and state regulation—controlling the rates and telephone services provided by American Telephone & Telegraph Company (AT&T), for example—and by building up countervailing power in the form of labor unions. By the 1970s fears of "cutthroat" competition had been displaced by confidence that a fully competitive marketplace produced fair returns to everyone. The fear was that monopoly made for higher prices, less production, inefficiency and less prosperity for all. As unions faded in strength, the government paid much more attention to the damages that unfair competition could cause to consumers, especially in terms of higher prices, poorer service, and restricted choice. However there is no evidence that antitrust prosecutions were or are dictated by the damage to consumers. It is not the policy of the antitrust division to estimate the damage to consumers and then prioritize prosecutions on the basis of that damage. In 1982 the Reagan administration used the Sherman Act to break up AT&T into one long-distance telephone company and seven regional "Baby Bells," arguing that competition should replace monopoly for the benefit of consumers and the economy as a whole. The pace of business takeovers quickened in the 1990s, but whenever one large corporation sought to acquire another it first had to obtain the approval of either the FTC or the Justice Department. Often the government demanded that certain subsidiaries be sold, so that the new company would not monopolize a particular geographical market. In 1999 a coalition of 19 states and the federal Justice Department sued Microsoft. A highly publicized trial found that Microsoft had strong-armed many companies in an attempt to prevent competition from the Netscape browser. In 2000 the trial court ordered Microsoft split in two to punish it, and prevent it from future misbehavior. Founder Bill Gates argued that Microsoft always worked on behalf of the consumer, and that splitting the company would diminish efficiency and slow the pace of software development. Critics of antitrust law argue that the empirical evidence shows that "predatory pricing" does not work in practice, and is better defeated by a truly free market than by anti-trust laws. Free market economist Milton Friedman stated that he initially agreed with the underlying principles of antitrust laws (breaking up monopolies and oligopolies and promoting more competition), but came to the conclusion that they do more harm than good. In short, the financial demise of a competitor is not the same as getting rid of competition. The courts have long paid lip service to the distinction that economists make between competition—a set of economic conditions—and existing competitors, though it is hard to see how much difference that has made in judicial decisions. Too often, it seems, if you have hurt competitors, then you have hurt competition, as far as the judges are concerned. No one will ever know what new products, processes, machines, and cost-saving mergers failed to come into existence, killed by the Sherman Act before they were born. No one can ever compute the price that all of us have paid for that Act which, by inducing less effective use of capital, has kept our standard of living lower than would otherwise have been possible. Those, like Greenspan, who oppose antitrust tend not to support competition as an end in itself but for its results—low prices. As long as a monopoly is not a coercive monopoly where a firm is securely insulated from potential competition, it is argued that the firm must keep prices low in order to discourage competition from arising. Hence, legal action is uncalled for, and wrongly harms the firm and consumers. Proponents of the Chicago school of economics are generally suspicious (and critical) of government intervention in the economy, including antitrust laws and competition policies. Judge Robert Bork's writings on antitrust law, along with those of Richard Posner and other law and economics thinkers, were heavily influential in causing a shift in the U.S. Supreme Court's approach to antitrust laws since the 1970s. Although critics have suggested that there should be no governmental intervention so that the free market can determine marketplace competition without trouncing on business creativity, antitrust laws were put into place because of the concentrations of wealth in the hands of very few through trusts and monopolies. Such trusts and monopolies erased normal market competition and produced undesirable controls on prices. Antitrust laws were formed to prevent trusts and monopolies from creating restraints on trade and commerce which reduced competition. Orthodox economists fully acknowledge that perfect competition is seldom observed in the real world, and so aim for what is called "workable competition." This follows the theory that if one cannot achieve the ideal, then go for the second best option by using the law to tame market operation where it can. ↑ The Business Community's Suicidal Impulse by Milton Friedman Cato Policy Report 21 (2)(March/April 1999) A criticism of antitrust laws and cases by the Nobel economist. Retrieved October 5, 2007. Bork, Robert H. The Antitrust Paradox. New York: Free Press, 1993. ISBN 0029044561. Institute of Mergers, Acquisitions and Alliances (MANDA) M&A An academic research institute on mergers & acquisitions, including antitrust issues. Antitrust Laws Should Be Abolished by Edward W. Younkins, 2000. The Antitrust Source, monthly analysis of antitrust issues by the American Bar Association. Antitrust by Fred S. McChesney. This page was last modified on 6 April 2016, at 19:43.